Aluminium foil is a kind of coil, strip or sheet product with thin thickness after rolling of aluminium alloy. In general, we call the Aluminum Alloy which thickness is less than 0.2 mm as aluminum foil. The properties of aluminum foil are thin and light-weight, high strength, good gloss, high thermal conductivity and electrical conductivity, high moisture resistance, non-toxic, tasteless, good cover rotation, heat insulation, good corrosion resistance. So what is the performance index of aluminum foil? Here we can give you the answer! Tensile strength: refers to the maximum stress value of material before breaking. At present, the most common method to measure tensile strength in China is using the universal material testing machine to measure the tensile and compressive strength of materials. Elongation rate: the percentage of total elongation and original gauge length after tensile fracture. Yield strength: the critical stress value of material yielding. Cupping: refers to the process stamping performance of products. 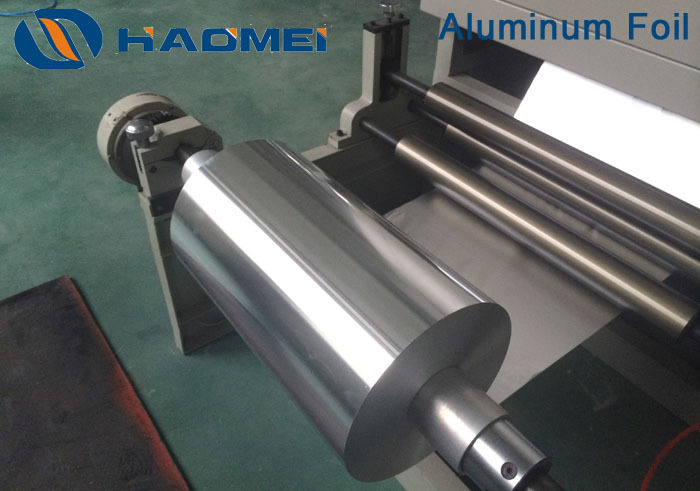 In aluminum foil factory testing, the tensile strength and elongation of the product are the data test most, and the cupping value is generally used for performance testing of aluminum foil products for deep drawing, such as air conditioning heat sink aluminum foil, aluminum foil food container and so on.